Remodeling a home can be a challenging task for anybody. There are so many considerations to take into account, and the possibilities are endless. Given the fact that there is a plethora of ways to enhance a home during the remodeling process, simply changing a few elements in a space can truly transform it and convey a completely different atmosphere than the one before. One of the easiest ways to embellish rooms with counter space, such as kitchens, bathrooms and bar areas, is to replace existing countertops with granite countertops. Granite is one of the most attractive and naturally resilient building materials to use for any remodeling job, regardless of specifications. It is available in a range of colors, designs and patterns and can be cut to fit any space. This beautiful rock is durable, long-lasting and adds a sense of style and elegance to any residential remodeling project. Unique and fit in with any home’s style. Sanitary and moisture-resistant when properly sealed. Resistant to hot and cool temperatures. Resistant to scratches and chips. Value-added assets whose value does not decrease over time. If you would like to add stylish elegance to any room in your home that has counter space, consider employing TriStar’s professional remodeling team to install stunning granite countertops. Along with its beautiful characteristics, granite is a heavy building material with which to work and calls for the proper tools and expertise when installing it in residential properties. The installation process is cumbersome and requires great attention to detail and finesse in which the average do-it-yourselfer is generally not adept. Having installed countless granite countertops all across the Dallas–Fort Worth metroplex since 2006, TriStar’s professional team has amassed the experience and expertise required to install granite countertops in any home. 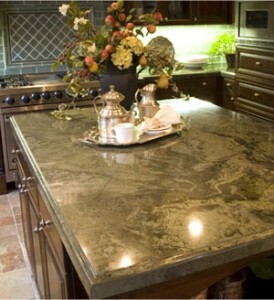 If it is time to replace your outdated countertops, contact TriStar Repair & Construction today. We will work within your remodeling project’s specifications to ensure complete customer satisfaction because at TriStar, we are not satisfied until you are! To learn more about our granite countertop services, give us a call at (940) 381-2222 or send us a message.